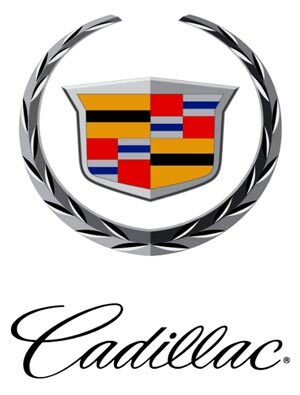 Cadillac is an iconic American luxury automaker that was started in 1902 by Henry Martyn Leland. Mr. Leland was the owner of a company that manufactured automobile components when he formed Cadillac. Cadillac was the namesake that came from the French explorer that discovered the Detroit area, home of the American auto industry. I wish I had some of those Cadillac car brochures, but not at this time. One of the first cars offered by Cadillac was the Osceola, which was considered the first concept car in the auto business. The Cadillac Osceola was the first closed body car in America. However it was never produced and sold because there was only one built and the reason it was called the first concept car. This concept model caught on quickly and set a trend throughout the auto industry and soon every automaker had a closed cab car. Cadillac car brochures were the key to selling automobiles throughout the years. Early Cadillac models like Model “A” and Model “30” became very popular and soon Cadillac earned a reputation for fine craftsmanship. This attention was not only from consumers, but also from other automakers. Then in 1909 General Motors bought Cadillac and it became the automotive giant’s luxury division. Soon Cadillac was well known and respected around the world for their luxurious and finely built automobiles and still is as you will see in the Cadillac sales brochures below. The first American automaker to produce a V-8 engine was Cadillac which was also the first provide dash controlled headlights and a thermostatically controlled cooling system. These innovations put Cadillac at the forefront of the American auto industry and in the 1930s Cadillac started offering a V-12 and V-16 engine which both powerful and smooth. Cadillac soon became the vehicle of choice for upper crust. The flashy and luxurious Cadillac was the car to have for the successful, professional, politicians and the famous. The two cars that really became the car of who’s who were the Coupe de Ville and the Fleetwood el Dorado. Everyone envied Cadillac in the 1960s; it was the car that turned heads. If you drove a Cadillac you were on top of the world. Soon Cadillac was offering options and accessories in the Cadillac car brochures and sales literature that were unheard of in an automobile such as footrests, writing tables, and tilt and telescopic steering wheels. Things started changing in the 1970s for the auto industry and for Cadillac. The country had a gas crunch that had the automakers scrambling to bring smaller, fuel-efficient vehicles to the market. The Cadillac, once known for what you might call land yachts revamped their line-up by introducing smaller cars. Cadillac struggled for several years with all these changes including a diesel engine that was known for problems. Not long after the diesel engine debacle Cadillac introduced the Cimarron to market that was nothing more than a Chevy Cavalier, which didn’t win any customers for Cadillac. There was also some issues with a series on V-8 Cadillac engines that were unreliable all of these put a big hurt on the Cadillac name. Even the Cadillac car brochures of the time weren’t the same. When the 1990s came around Cadillac was determined to turn things around. A better product and great styling was a good start. The introduction of the Escalade and CTS sport sedan in the new century was making waves in the market and Cadillac was moving in right direction. Today Cadillac is back to being a status symbol of the well to do and those that want to be that include coupes, sedans, crossovers and SUVs. Once again Cadillac is known for powerful engines, unimpeachable styling and luxury, as you will see in the Cadillac car brochures below. 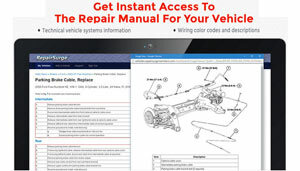 These Cadillac sales brochures are available in PDF format for easy viewing or download.